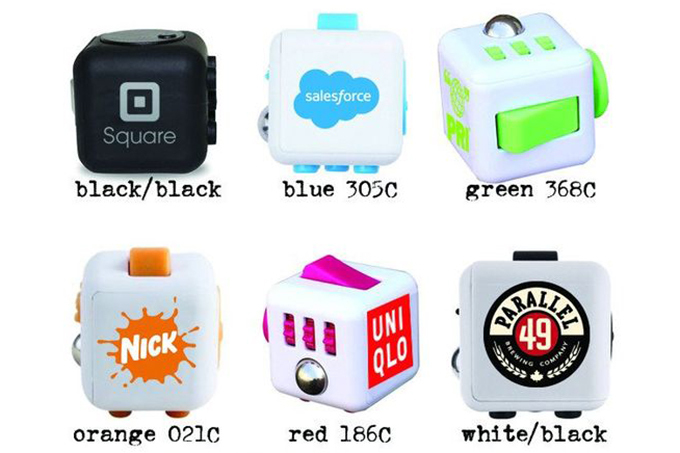 Brands from Microsoft to Goldman Sachs are getting in on the latest toy craze. Walk to your nearest corner store, pop into any classroom or look through the top trending videos on YouTube, and you’ll see a toy that has captured the attention of America, the likes of which the $20 billion toy industry hasn’t seen in decades. Fidget Spinners, handheld devices that look like miniature ceiling fans and can spin for minutes at a time, have been selling out for the past few months and are only gaining marketplace speed. On Amazon, for example, 17 out of the online retailer’s top 20 best-selling toys were spinners on May 4. Now brands, desperate to be part of the latest trend, want their logos smacked into the middle of them, envisioning the toy as the perfect promotional swag to be given out during spring festivals, parades and events. In the past few weeks, Microsoft, Tiffany’s, Goldman Sachs, Sea World and Coachella are among the brands that have worked with John Graham, owner and president at Arizona-based Promo Crunch, to create branded versions of the toy. Interest in Fidget Spinners and a similar product, the dice-like Fidget Cubes, is so high, Graham created a new website, Promo Motive, dedicated to the toys in January and has since worked with 120 brands to customize the devices. Sure, there’s been the Rubik's Cube, thunder sticks and pongs, said Graham, but the demand for Fidget Spinners is another ballgame. "I’ve seen a couple of trends and this happens to be the most interesting and the biggest one," he said. "Our traffic is up 20-fold and I’ve sold 50,000 in the past week." Spinners Only is another company formed only last week to create custom Fidget Spinners for brands. Owned by Forever Collectibles, it already has deals with the NBA, NFL, MBA, NHL and NCAA. Since suppliers in Asia, not in the United States, are currently producing the toys, orders could take a few weeks to a month to be completed. 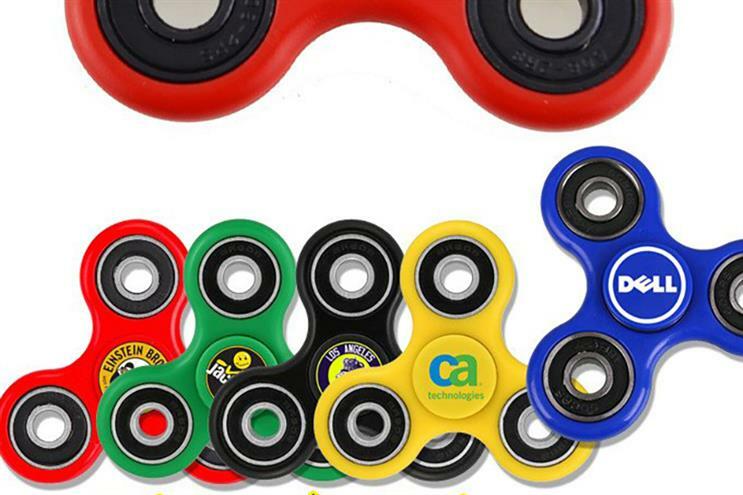 Consequently, websites like Imprintitems.com, which added Fidget Spinners to its line of customized products in November, have sold out and are waiting for another shipment of inventory to come in. "Hottest product I’ve seen in 30 years," said Jon Van Buren, owner of Imprintitems.com. "The demand is definitely exceeding the supply at the moment. We either presale them before we get them or we get them in and they are sold the same day." New inventory won’t be available until May 30, but that’s not stopping brands from ordering. Van Buren said he has one million units coming in, and a third of them have already been pre-ordered. "There’s a strong possibility that whole inventory might sell out before they even arrive here," he said. Van Buren, who won’t disclose the brands he works with, said he receives an order every 15 minutes. The price, although inexpensive compared to other small promotional items, has naturally been impacted by the demand. Graham charges an average of three dollars for every custom Fidget Spinner, while Van Buren charges $3.13 per spinner if the order is for 100 to 249, and the price becomes lower the more you buy. "In 12 or 18 months, you are going to see everyone sitting on stockpiles of these and the price is going to drop lower," said Van Buren. What’s arguably the most appealing about Fidget Spinners is that they target all age demographics—kids enjoy collecting them like Pokemon cards or Beanie Babies and adults use them to de-stress. The New York Times called the toys the "hula hoop for Generation Z" and Forbes claimed they are the "must-have office toy for 2017." What’s more, they keep kids occupied, a curse for teachers who want them out of their classrooms, but a godsend for parents, especially those with children who have Attention Deficit Disorder. "I think they are going to be super hot at all events this summer," said Van Buren. "These things, oddly enough, will last much longer than people expect because it’s a product people can build all sorts of different variants on—different styles, colors, shapes," said Graham. Already, there are LED ones, rainbow ones and even ones that glow-in-the-dark. "I think you’ll see them last a year to year and a half," said Graham, "but next six months they will be very popular."